DALI Opticon 2 review | What Hi-Fi? Unlike the jobsworth accountant, Dali speakers tend to make having fun their number one priority, as many an hour spent tapping our feet to 1970s disco tracks through a pair of the Danish company’s speakers will attest. From the entry-level Zensor 1 speakers, right the way up to the high-ranging Epicon 8 and the Opticon 1 and 6 models, the company’s speakers are often a guarantee of good times. 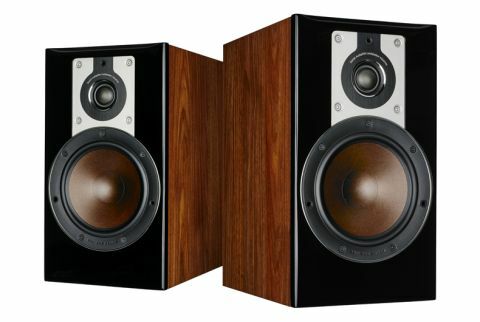 These Dali Opticon 2 speakers – the larger of the two standmount speakers in the company’s midrange line-up – are no exception. With a name like ‘Opticon’, you may expect them to be all muscle and authority, but while they are indeed attributes, Dali only makes a point of wanting the range to be a ‘true’ Dali speaker series. And aren’t they just. The Opticon 2 speakers deliver the headfast supernatural-esque electro melodies in Silent Shout superbly – their fast, timely and dynamic midrange coming into its own, and making the handling of the track’s energetic rhythms look remarkably easy. Couple that with sweeping dynamics and large scale and it becomes apparent that roof-raising volume isn’t necessary for you to be manipulated into a sit-down rave in your own armchair. That midrange articulacy does wonders for vocals, first from The Knife and later the hauntingly-reverbed voices of Timber Timbre. Expressive and open, the Dali Opticon speakers serve up clarity and insight, proving more than happy to carry any emotional appeal required. While there’s a distinct boldness to them, it’s tamed with a calming degree of subtlety and precision. Everything from track-dominating drums to slight cymbal taps has a finality and purpose in the mix. And despite our best efforts, they are hard to wrong-foot too. The Knife track’s seismic bassline is agile and, with the help of the Dali’s bass port, sinks deep as a thumping beat breaks above it. That said, it’s never quite as hard-hitting or penetrating as it is through the Dynaudio Emit M20 speakers. Bringing the Dalis closer to a wall helps with bass solidity and punch, but there is a balance to be struck with adding low-end substance as it can reduce the nimbleness that makes them so likeable. Just be prepared to experiment with the speaker positioning. The treble runs a little too enthusiastically, especially at louder volumes, but although the presentation is on the bright side, only poor system-matching could cause it to be a problem. For this reason, it’s important to partner them with smooth, richer-sounding kit; the Arcam A19 stereo amplifier, for example. You needn’t worry about your Opticon 2s matching the decor though. They come in a black, white or walnut vinyl, which is smart and well applied – even if we prefer the glossier, more modern and expensive-looking paint finish of the Wharfedale Reva 2 speakers. The 16.5cm mid/bass driver cone is made of paper with wood fibres added to improve stiffness, and its mahogany tint adds to the aesthetic interest. High frequencies are delivered by a 28mm soft dome tweeter, rather than the dual ribbon/dome arrangement of the larger speakers in the Opticon range. The Dali Opticon 2 speakers aren’t the most versatile standmounts on the market, nor the most sonically complete (as the Dynaudio Emit M20s demonstrate), but they remain talented, entertaining speakers.